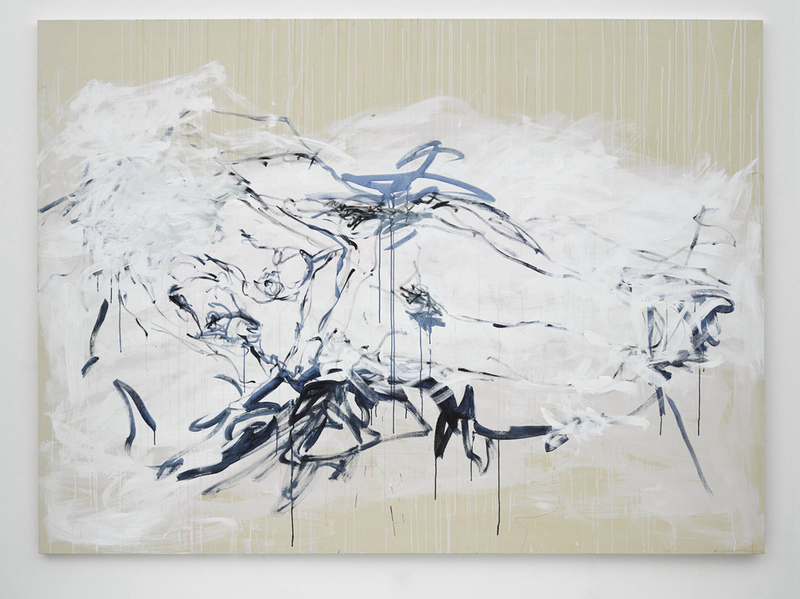 Lehmann Maupin and White Cube will present I Cried Because I Love You, an exhibition by Tracey Emin, CBE. The joint exhibition takes place across both gallery spaces in Hong Kong and marks Emin’s first solo presentation in Greater China. Emin first came to prominence as an artist in the 1990s and is internationally celebrated for her poetic work across a wide range of media. For this exhibition she has produced a new body of work including painting, embroidery, neon, and bronze sculpture. 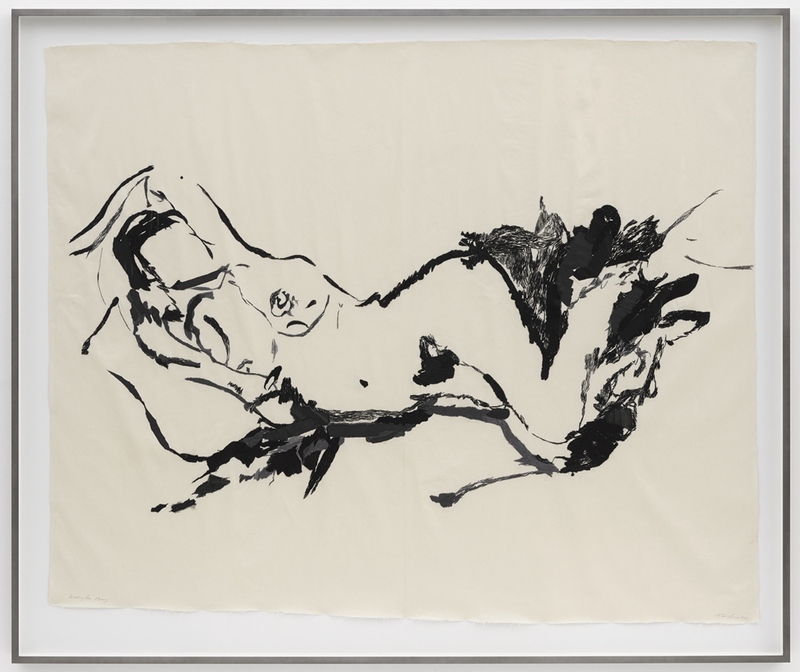 A modern day ‘Expressionist’, Emin explores ideas of narrative disclosure, often drawing on subjects that are intimately bound up with her own biography. Drawing from personal experience, she frequently uses her own body as source material, recollecting memories or emotions that are vividly honest and candid but also familiar and universal. I Cried Because I Love You poignantly evokes a self-reflexive moment in the artist’s life, reflecting on the pain of loneliness, sexual desire, and the bitterness of separation. Emin has described her practice as about “rites of passage, of time and age, and the simple realisation that we are always alone” (2014). Repeatedly turning to self-portraiture and classical subject matter such as figures or nudes, her work is the result of an intense process of self-discovery. While appearing direct and immediate the paintings, in particular, emerge from layers of application, obliteration, and reworking. Likewise, both Emin’s embroideries and sculptures employ timely hand-crafted processes: the delicate act of sewing and the lost-wax casting technique, a classical sculptural process which retains the expressionistic touch and tactile trace of the artist in the final sculpture. Born in London in 1963, Emin studied at the Royal College of Art, London. One of the most significant contemporary artists, she achieved international recognition with such key works as Everyone I Have Ever Slept With 1963-95 (1995, destroyed 2004) and My Bed (1998) for which she was shortlisted for the Turner Prize and is currently on display at Tate Britain alongside works by Francis Bacon. In 2007, Emin represented Great Britain at the Venice Biennale and in the same year, was made a Royal Academician. In 2013, Queen Elizabeth II appointed Emin a Commander of the Most Excellent Order of the British Empire for her contributions to the visual arts. Throughout her career she has exhibited extensively including a two-person exhibition with Egon Schiele at the Leopold Museum, Vienna (2015); and solo exhibitions at the Museum of Contemporary Art, Miami (2013); Museo de Arte Latinoamericano de Buenos Aires (2012); Hayward Gallery, Londo n (2011); Scottish National Gallery of Modern Art, CAC Malaga and Kunstmuseum Bern (2008); and Stedelijk Museum, Amsterdam (2002). A fully-illustrated catalogue, featuring an interview with the artist and a selection of her own writings will be published to coincide with the exhibitions. Courtesy of the artist, Lehmann Maupin and White Cube, for further information please contact Louise Oram on louiseo@suttonpr.com or at +852 6892 1711/Tara Liang on tara@suttonpr.com or at +852 2528 0792.